To be totally honest, I don’t remember which book made me a reader. There were many of them. But maybe I’ll just tell you about one of the books that started everything. 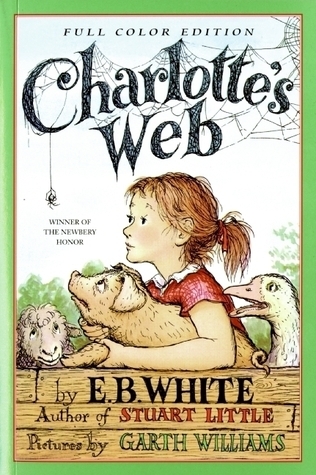 The first time I read Charlotte’s Web was in the third grade. We read it as a class and right from the very first words, I was hooked. Talking pigs, talking spiders? Talking spiders who were friends with talking pigs? I’d read lots of other fantastical stories, but for some reason, this one was different. The book took us several days to get through, and every time we stopped for the day, I’d feel this anxious, restless tug inside me. Like I’d walked out of a room mid-conversation or something, and needed to go back. I learned my timetables faster, wrote faster, read faster so I could hurry back to Charlotte and Wilbur’s story. Unfortunately, the other twenty-plus students in my class were not on the same wavelength. Things got so desperate that one day I shyly asked my teacher for her second copy of the book so I could read ahead. To my surprise, she said yes. I took it home that day and read like the words would disappear if I looked away for one moment. I know lots of people read Charlotte’s Web as kids, and it is just a book. But for me, it felt like a lifeline. The week we started Charlotte’s Web was during my first month in a foreign country, where I felt more out of place and lonely than I could express. I had said goodbye to friends and family, some of whom I knew I’d never see again. A few short months before moving, I’d experienced the first death of a person I knew and loved. Before then, death had been this abstract concept, something far away. I cried at the end of Charlotte’s Web. But these were necessary tears, cathartic even. You see, I was understanding for the first time that life is full of goodbyes; it is full of leaving behind houses you’ve grown up in, clothes you will never replace, and people. It’s about leaving behind people, sometimes. I’m pretty sure Charlotte’s Web was the first book I’d ever read that didn’t have a happy ending. If not, it was the first that I understood didn’t have a happy ending. There was still hope, of course, and that was important for me. However, the book also captured something about the messiness of life and about the spaces in life that can only be filled by a good friend or two. As a writer (and a reader too), I love a good happy ending, but I believe the bittersweet the most. Charlotte’s Web taught me that books could be a mirror. Yes, you could go through mirrors to another world (sudden flashback to a TV show! ), but they could also just reflect life back at you. Sarah Everett is the debut author of Everyone We've Been (October 4, 2016) and a second untitled novel that she is still hard at work on (both from Knopf/Penguin Random House). Her interests include science, Friends, tennis, and reading. 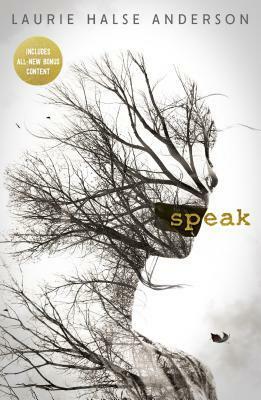 She currently lives in Canada where she attends graduate school and writes YA novels.